We understand the key role we play for real estate professionals and their clients, as the home inspection often the last step in the decision making process when purchasing a home. Buying a home is an emotionally charged experience for home buyers and we feel it is important to take care in the way we deliver information to your clients. At Bocc Inspections, we communicate our findings in a way that educates clients on the risk/advantages of particular systems and components in a home, as well as provides solutions and resources should there be any deficiencies that need to be addressed to protect their investment, health, safety and enjoyment of their new home. As a home inspector is it our philosophy that our job is to provide a ‘home introduction’ between the home buyers and the home, rather than a pass/fail inspection. We have an online booking system to allow you to view our availability online when you are with your client in order to streamline the process of coordinating schedules and booking inspections. We send out our inspection agreement prior to the inspection for your clients to review, learn about what to expect, and sign digitally — this allows for out of town clients to sign the agreement and also saves this during the home inspection process. 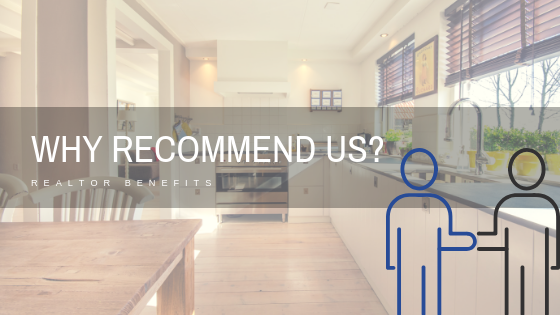 We have an ever growing list of trusted vendors to easily refer clients to in order to obtain speedy quotes, fix items in their home when buying or selling, and to ensure your clients are well taken care of by a company that provides quality work, fair pricing and excellent customer service! Its one more thing that we can help assist with to allow you to focus on the other aspects of your role! Our online reports have a easy to use feature to build a Request/Repair List to assist in renegotiation with the Seller and their agent. This tool allows specific items in the report to be selected and compiled into a separate document which includes the photos and description provided by the home inspector. This helps ensure that the deficiencies are communicated clearly and saves you time! Furthermore, clients can use this feature to create a repair list (AKA a “honey-do list”) for themselves to ensure they address the areas of concern when they take possession of the house. We often provide education and point our important maintenance items during our home inspection which can be beneficial for not only your client, but also for real estate professionals. After all, we are all homeowners at the end of the day. Protecting investments makes good business sense. We like to mix fun and tasteful humor into our home inspections to help create a memorable experience for both realtors and their clients. After all, home inspections take between 2-3 hours, why not have a great time while ensuring the home is well inspected! Our inspections follow a step by step routine to ensure that the home is fully inspected and nothing is missed, so this allows us to answer questions and make the inspection an educational AND enjoyable experience.